We are so honored to have worked with some of the finest clients, architects, and contractors in 2018! It was an amazing year with well more than DOUBLE the projects of previous years! To say the least, this year was a busy one for our growing team (lots of late nights and dark circles under our eyes keeping up!). It was hard work, but we are grateful for your trust in us! Here are just a few of the highlights of the year. We loved every minute and every late night of working on the award-winning parade home with Alair Homes. We love the combination of the soft neutral tones and modern touches to this perfect master bedroom. Custom art paired with one of our favorite sconces not only complete the space for this space, but make this bedroom unique. We love the juxtaposition of polished finishes paired with the weathered oak floors and island in this gourmet kitchen. We lowered the ceiling from the orgiginal architectural plans and added the second island for a more comfortable human scale space. 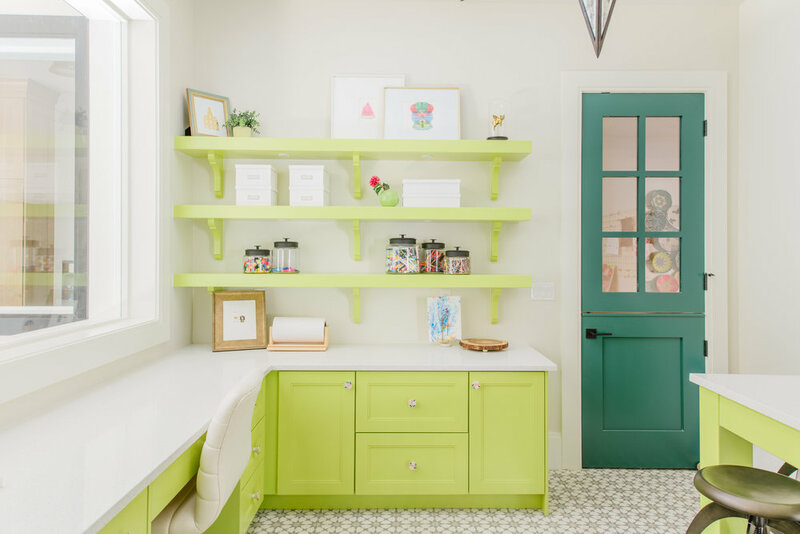 Who wouldn’t love this cheery craft room with movable island and contrasting dutch door!? This room easily makes the top 10 favorites of the entire year, but especially joyful on a gloomy January day! Installing this model home with both a short deadline and a hurricane (major shipping delays! ), was tricky and but we experienced the real agility of the Liv team. It took a full crew of designers to make this happen on time. I was so proud of how well we pulled this stunning lakeside home together…hurricane and all. For the photo shoot we celebrated together and at a yummy #livlifestyle approved lunch! Much needed fun time together! Installing this home was a real treat! It was a late night in Heber with snow softly falling and a view to die for. It was magical! This home and property are so comfortable. The juxtaposition of rustic woods and leathers mixed with the fresh linen textures and whites make for a blend that feels luxurious and cozy at the same time. Just because these projects aren’t quite completed and ready for photos doesn’t mean we haven’t loved every minute of working with the clients, contractors, and architects this year! Here are some highlights coming soon! Plus in 2018 we added both architectural design and project management services in addition to our full-service interiors. It’s hard to narrow down to just a few…but this mix shows the variety of style we offer clients. I love that about our Liv team. Launching architectural services and project management services in 2018 was an undertaking and huge highlight. We are at ninety-eight percent completion on the architectural plans for this traditional exterior lakeside home with modern interior. Interior Design has is also underway for this home ready to break ground in February 2019. 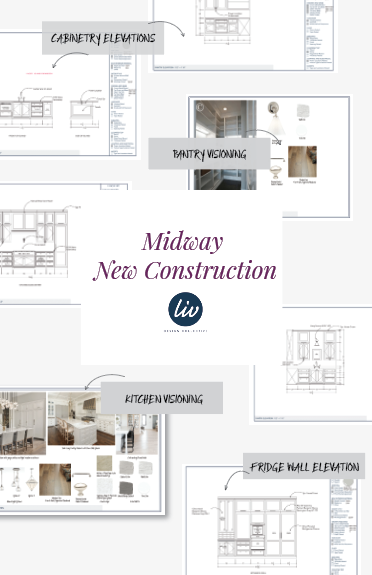 We’ve loved seeing our team come together to create a seamless experience for clients from floor plans to accesories. You’ll see a lot more of this home this year in coming attractions! We are at it again with Jorgenson Builders designing a great new build in Midway for a family moving back to their Utah roots. The overall goal of this home is to be comfortable! (We’ve heard that just a few (dozen) times from our clients and agree that every home should be comfortable no matter the style! Here’s a sample of the kitchen visioning and elevations. You’ll see more progress on this home to be completed in mid-year 2019. This home leans traditional with some rustic and farmhouse touches. We love the traditional aspect of this Draper home we’ve been seeing come to life the past several months. And we are on the home stretch! Marbles, gold, quartzite, and warm wood tones make up the palette in this Hamptons style home overlooking the entire Salt Lake City, Valley. 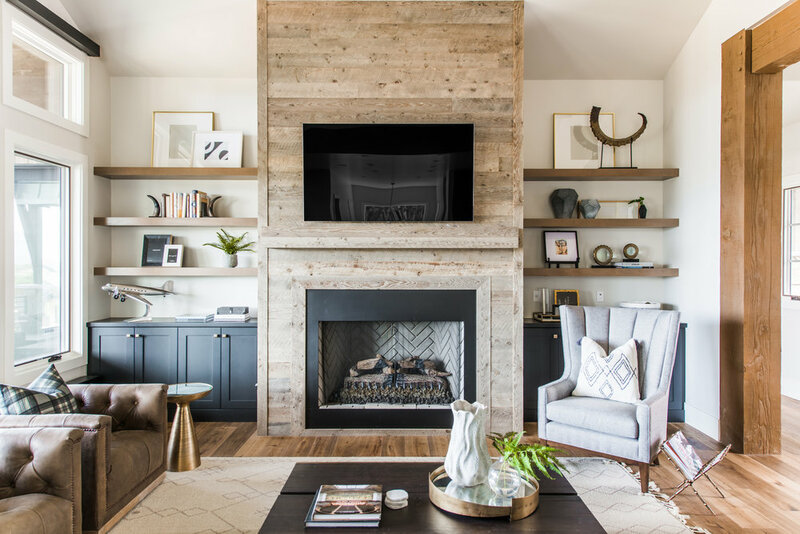 Contractor issues made this amazing remodel more difficult, and that’s why (oddly enough) it made the favorite list. Our project management services helped make sure this project didn’t experience the significant delays it could have. The more modern style and dark cabinetry finishes were a refreshing change in style.